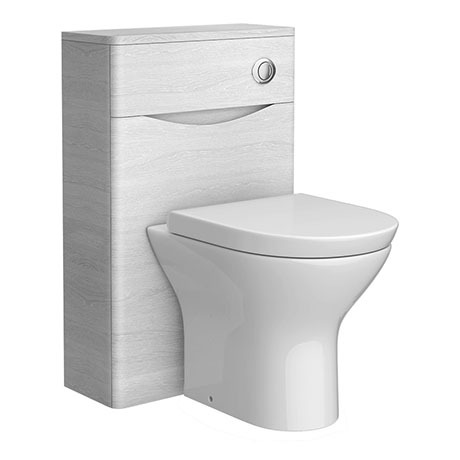 The stylish Ronda white ash wood effect WC unit, features rounded corners and a minimalist design. Comes with a removable front panel which can be drilled for right or left hand front flush. It's neutral colour scheme would make this suitable for any style of bathroom, can be used in conjunction with furniture from the Ronda white ash range.